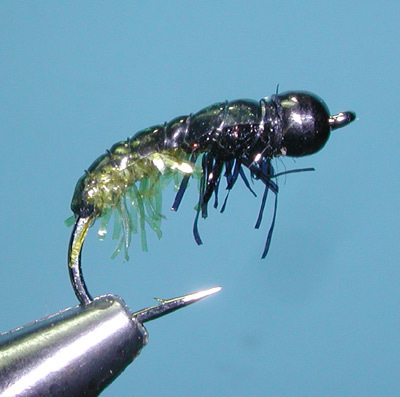 The Czech Catnip is a European style caddis nymph designed by competition angler George Daniel. Daniel is a two time US national champion and former member and coach of the US Fly Fishing Team. It is one of his favorite anchor flies with tight line nymphing. The Catnip is heavily weighted with a tungsten bead and leadfree wire. It is a simple fly to tie using Hareline's Micro Polar Chenille for the body and Olive Mottled Oak Thin Skin for Shellback. 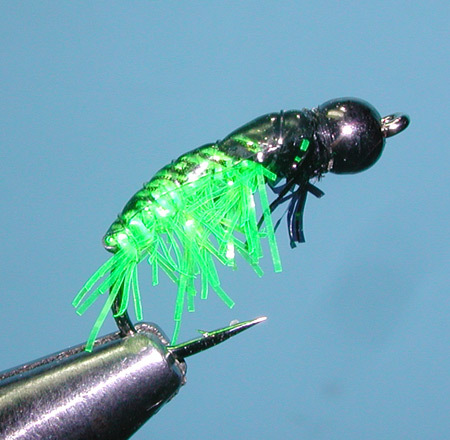 It can be tied with many different colors, Chartreuse and Olive being the most popular. The hook is a competition style that is barbless and has a long thin point for excellent penetrating power to manuever the fish for a quick release.